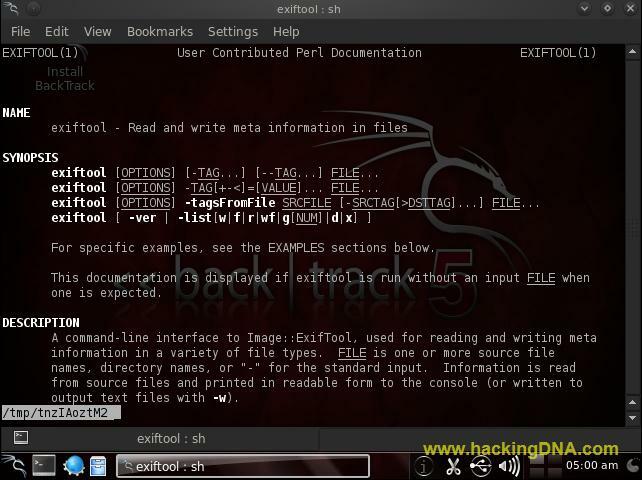 Exiftool is a Forensic tool , that is preinstalled on Backtrack 5 . It can be used to extract the metadata from different files . In our example , we use this tool (exiftool ) on three files i.e. On image file , powerpoint file and pdf file with examples. 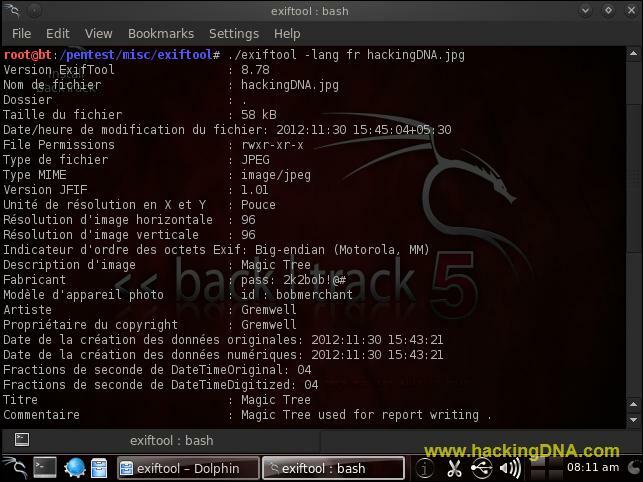 Let see how we can use this tool , before it first see how to open exiftool on backtrack5 . To open exiftool , go to BackTrack > Forensic > Forensic Analysis Tool > exiftool . I make this example easy and simple ,we put jpg image , ppt and pdf in /pentest/misc/exiftool directory . Now lets analyse the image names hackingDNA.jpg . Verbose mode shows the additional information. See the below example for more details. You can set language according to your choice. With -htmlDump option , you can generate html format binary dump. Save output in html file . This is how we can use this tool to find out the metadata from the files . You can find lots of information about a particular file with this tool. 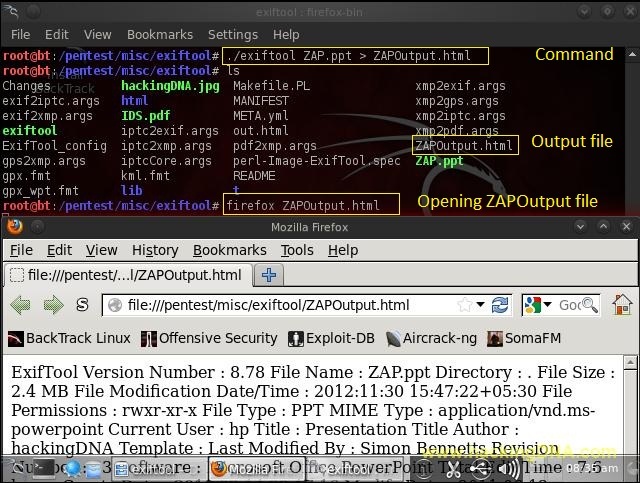 So for gathering information from a particular file , exiftool is a good forensic tool to use .